Coming Soon: Mendy Werdyger & Shalsheles V! Two new CD’s will be arriving in the next couple of weeks from Aderet Music. 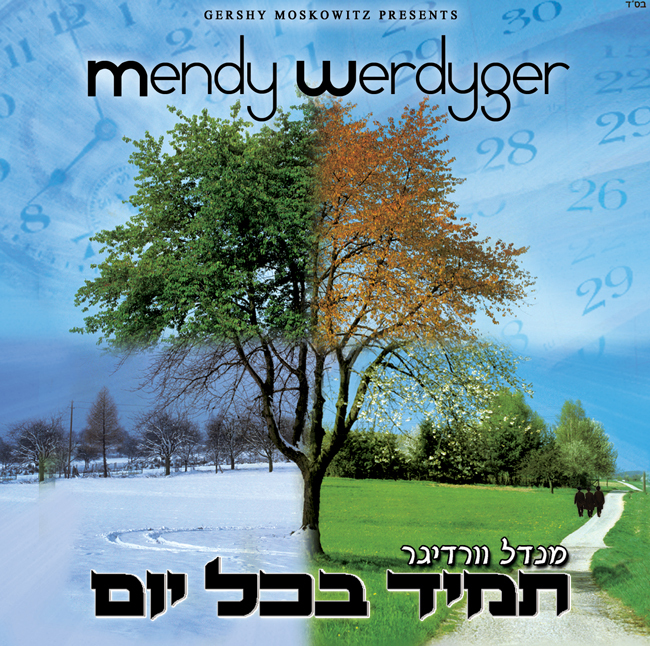 Mendy Werdgyer’s 5th studio album should be in stores in the next 1-2 weeks. The CD was produced by Gershy Moskowitz of Teem Productions. The album is called Tomid B’Chol Yom and will feature 12 original tracks with songs composed by Yossi Green, Pinky Weber, Motti Illowitz, Shalom Ezri, R’ Ben Zion Shenker and 3 songs composed by Mendy Werdyger himself. The CD features arrangements by new super star arranger Shua Fried, as well as the always excellent Shloimy Zeiger and incredible Eli Lishinsky. There are some other surprises on the album, which will be revealed soon. We hope to have an audio sampler shortly. Shalsheles is releasing it’s 5th studio album with songs composed by Yitzchok Rosenthal. The CD features 10 amazing tracks, including the bonus track “Generations” which we heard earlier this year. Shalsheles is Baruch Aryeh, Chaim Block, Yitzchok Rosenthal & Simcha Sussman. The CD’s arrangements were done by Ruli Ezrachi, Ron Tichon, Yisroel Lamm and one track arranged by Aryeh Kunstler. This CD is expected in stores between Rosh Hashana and Yom Kippur. Check MostlyMusic.com for updates on both CD’s and announcements on other albums coming out very shortly!